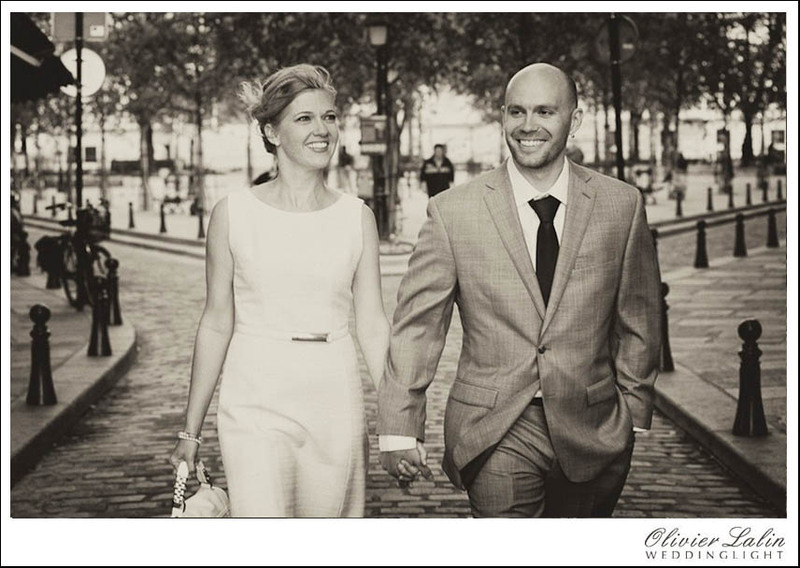 A few hours in Paris on a pre-wedding photo session with Susie and Stuart on a lovely fall afternoon.They were in Paris for a week and Stuart surprised his love one with a photo shoot before going to diner at L’Escargot on rue Montorgueil. He contacted me when he arrived to town and off we went the next day around the streets of Paris for a little photo tour. 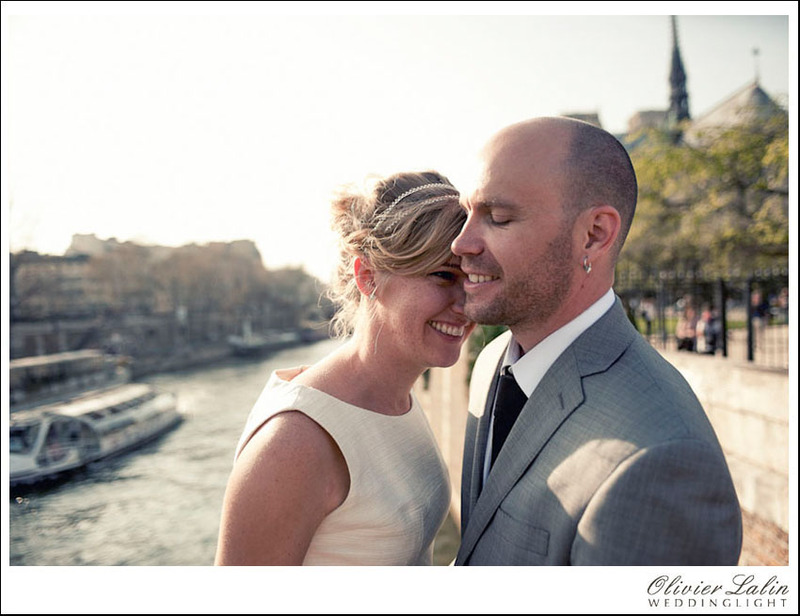 I picked them up at their hotel at “l’isle saint Louis” so we started the session at the tip of the island overlooking the Seine and Notre Dame. Paris often feels like being on a movie set. The streets were relatively quiet. They were discovering the city for the first time and we all had a lot of fun. 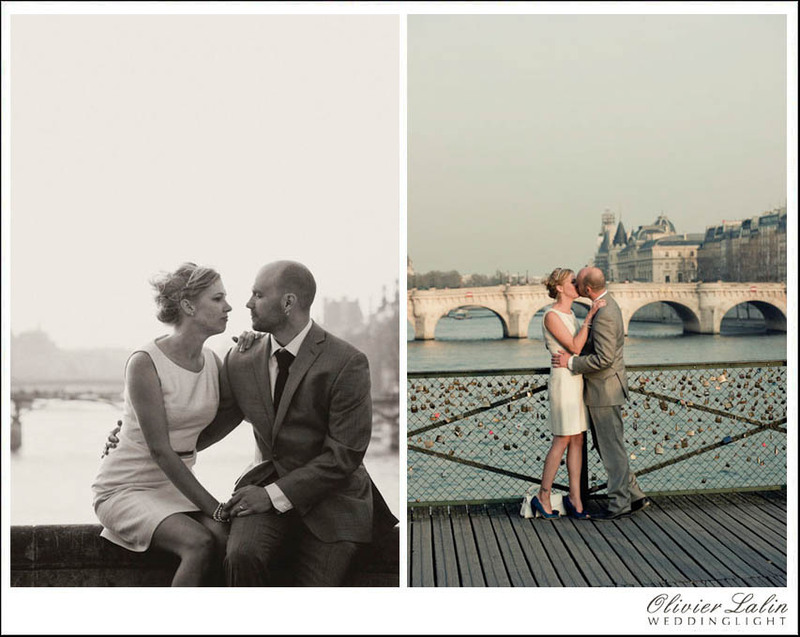 A Pre wedding photo session or engagement photo shoot is a fun thing to do with Paris as a gorgeous backdrop. We walked along the Seine to the pont des Arts and Le Louvres then rushed into a cab to shoot some final portraits at the Eiffel tower. A few photos from the serie with a gorgeous couple from Colorado. You will find our pre-wedding and engagement photo prices on our Paris private portrait page, and should you want more information for a photo package, i would be more then happy to help.